An excellent way to store your fishing hooks are to lay them between pieces of scotch tape wax paper. It keeps them nice and neat inside your container. Now that you have your bushcraft fishing kit ready it’s time to make your fishing pole. First find a decent length stick with a fork at the end. To make your eyelet, bend the ends of the safety pin in opposite directions (for stability) and secure it to the end of the stick. You can use spruce root or any other material you have available. If you don’t have a safety pin, just drape the line through the fork at the end of the stick. Tie the other end of your fishing line near the base of the pole. Now that your fishing pole is ready, it’s time to hunt for bait. Look for a shallow puddle and search it for bugs. If there aren’t any puddles around, you can look under logs, dig for worms, and move some rocks. Next, tie your hook to the end of the line and place your weight about a foot or so from the end. Attach your bait to the hook and you’re ready to go. This bushcraft fishing pole design works great if you know you are going to be fishing in a small stream. We would recommend bringing a bobber and more fishing line just in case you need to get out in the water a little farther. You can also make a bushcraft fishing reel similar to the one in this video using the materials in the previous video. While this bushcraft fishing reel is very fancy, you can achieve the same results using a stick found in the wilderness. The most important part is to carve a small indention into the end of the wood to allow for the fishing line to stay in place. Next just tie the end of your line to the stick and wrap it around. 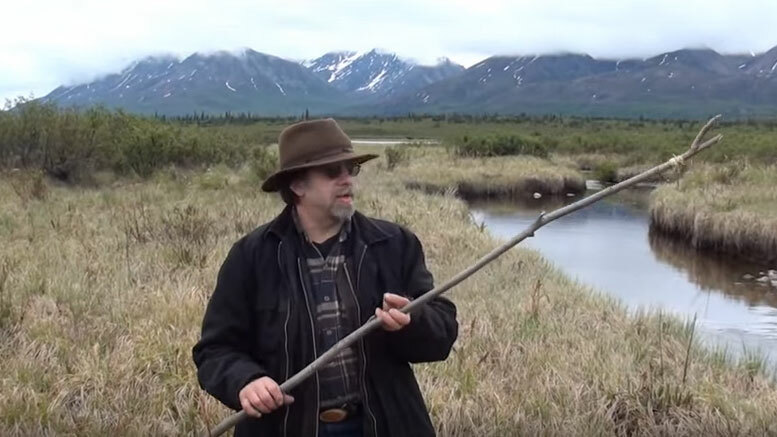 Be the first to comment on "Bushcraft Fishing – How to Make a Fishing Pole and Reel"